We are a leading Manufacturer & Supplier of Hydraulic Lifts such as Hydraulic Lift, Outdoor Home Lifts, Indoor Home Lifts, MRL Lifts, Platform Lifts, Outdoor Lifts and many more items from India. We are one of the leading manufacturers of Indoor Home Lifts in Chennai, Hyderabad, Bangalore and Kerala. 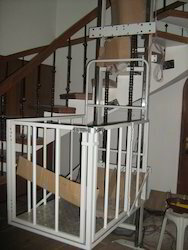 We are engaged in offering a wide range of hydraulic home lifts. Among this we offer Indoor Home Lifts. This lift is useful for entrance of 5-6 people and wheelchair along with a person with attender. We are one of the leading manufacturers of MRL Lifts in Chennai, Hyderabad, Banglore and Kerala. These lifts are very economical when compared to othe commercial traction lifts. But not in Quality. The main advantage of these kinds of lifts are that they can be installed at any available sapce and according to the user's full customization at very economical rates. These Hydraulic lifts are famous for their smooth operation. 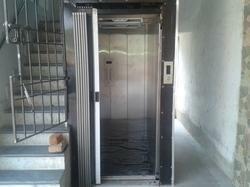 We are one of the leading manufacturers of Platform Lifts in Chennai, Hyderabad,Banglore and Kerala. These lifts are very economical when compared to othe commercial traction lifts. But not in Quality. The main advantage of these kinds of lifts are that they can be installed at any available sapce and according to the user's full customization at very economical rates. These Hydraulic lifts are famous for their smooth operation. 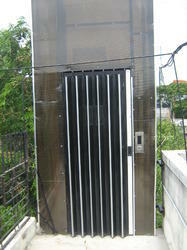 We are one of the leading manufacturers of Outdoor Lifts in Chennai, Hyderabad,Banglore and Kerala. This types of lifts are manufactured using hydraulic pistons and cylinders. These lifts can be used to lift a weight of 500 kgs. The speciality of these types of lifts are that it does not require huge machine rooms and pits. 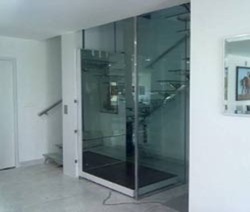 These types of lifts can be installed at any available space without much civil works in the building. Looking for Hydraulic Lifts ?